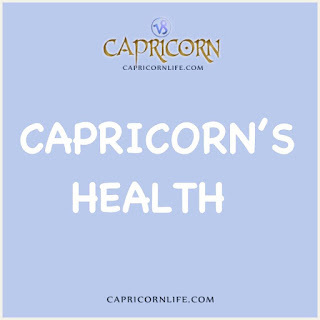 Capricorn's Health | Capricorn Life - Capricorns Rock! 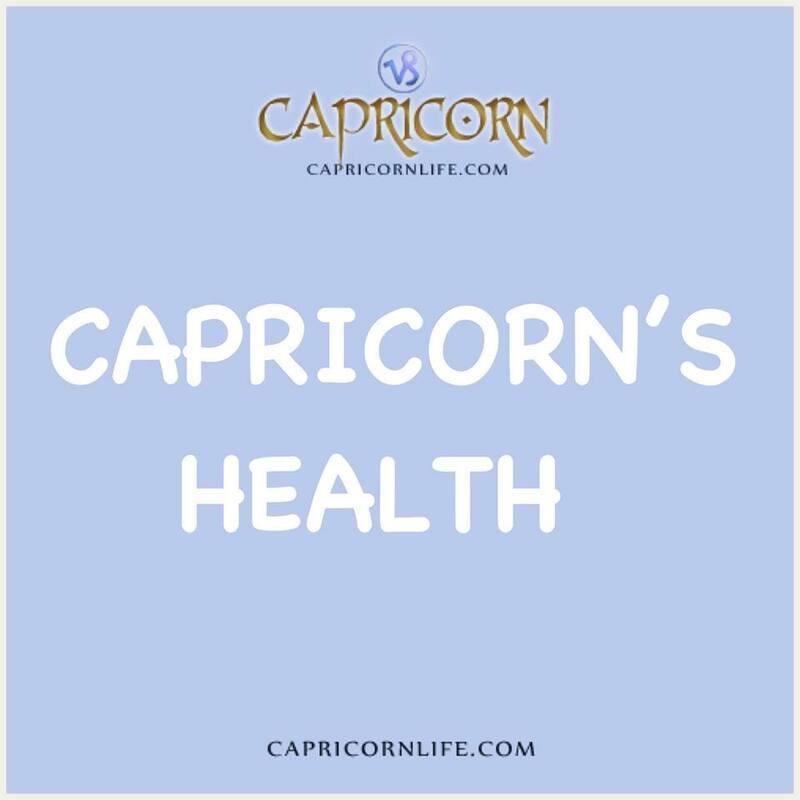 Let's talk about Capricorn's health. In childhood, Capricoms are inclined to be weaker, more sickly than other youngsters, but both strength and resistance to disease increase with age. The sober, temperate nature of the typical goat gives him amazing endurance and such potential for survival that it's not unusual to find him living past the century mark. Saturn people should be able to avoid doctors and hospitals, but they don't, because fear, uncertainty, worry and gloom are deadlier than germs. No amount of practical diet, conservative habits and stubborn resistance to illness can overcome the dangers of pessimism. Capricoms who want to avoid sickness should have plenty of outdoor exercise, and develop a more positive, outgoing personality. The fresh air of the country and the fresh breezes of tolerance will work magic with Saturnine health. Almost all goats of both sexes have sensitive skin. There may be nervous rashes, allergies, roughness and chapping, some peculiarity of perspiration, enlarged pores or acne. Stomach disorders from incompatible foods and mental distress are common. Broken arms and legs may occur. The knee caps, joints and bones are vulnerable areas, and psychosomatic paralysis, severe headaches and kidney infections are further fruits of Saturnine melancholy. They will either have beautiful, white, strong-teeth-or constant problems with decay and continual visits to the dentist, one or the other. Generally speaking, if they avoid the lingering illnesses caused by lingering depressions, the Capricorn tenacity for life is remarkable. But it's no fun to be the last leaf on the tree if you're suffering from arthritis and rheumatism. The goat must seek the sunlight and laugh at the rain to stay healthy.